North Korea, precisely the “Democratic People's Republic of Korea” is a country in East Asia occupying the Northern part of the Korean Peninsula. 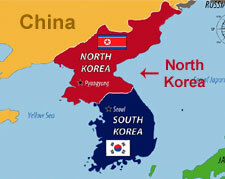 Bordering countries of North Korea include Russia and China towards the North, while South Korea lies towards its south which is one of the most fortified borders in the world. The country has negligible relations with the rest of the world is often term as “isolated”. The country faced major criticism from the world after it started its nuclear program and the rest of the world led by the US imposes sanctions on the country which left the country miserable in terms of economy and development. The ancient history of the Korean Peninsula dates back thousands of years. Archeological evidence shows that human activity in the region dates back to the Lower Paleolithic age. The “Gojoseon” was the starting period of the history of modern Korea. Later, as the time passed many kingdoms ruled the region in their respective periods. By the start of the 20th century, the Japanese Empire was getting strong enough and finally, in 1910, it was annexed by Japan. Active resistance was given by the local population, Japanese brutal tactics and other situations also led to the execution of thousands of Koreans. Subsequently, in 1945 the Japanese forces surrendered to Soviet and American forces and the Korean Peninsula was divided between them. As a result of differences (democratic and communist), and several other events, the result was “Korean War” which resulted in the loss of millions of lives. As both e.g. Soviet and Americans influenced Korea, both of them wanted their type of government e.g. Communist and democratic in Korea. North Korean forces aided by the Soviet Union and China attacked South Korea which resulted in the deployment of the United Nations and US troops in South Korea to defend. The war escalated over 3 years and in the result of massive bombings, conflicts, and battles, over 1.2 million people died. After the war ended, both sides i.e. North and South militarized their borders and the situation is still dangerous till today (e.g. both of them are in a state of war till today). 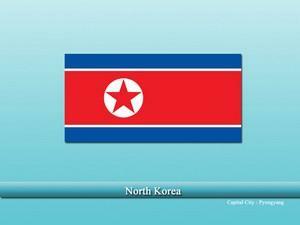 The terrain of North Korea is mountainous and hill with narrow valleys. Around 80% of the North Koreas land is covered by mountains. Other features include lush green valleys, plains, forests, and rivers. Also, forests cover approx. 70% of North Korea’s land. The economy of North Korea has suffered a lot due to the US sanctions. The economy consists of industries, services, agriculture, and other sectors and is highly nationalized. Russia and China are the main partners of the country and have provided tremendous support due to mutual interests. In addition, much of the revenue is spent on the military to maintain a balance of power. Korean is the most widely spoken language of the country, while in terms of religion, the majority of the North Korean population is non-religious. Some of the main religions in the country include Korean Shamanism, Chondoism, Buddhism, and Christianity. Our prayers are with the people of both North and South Korea and we hope that one day both of the Koreas may unite again and to end the suffering on people of both sides. Vastu shastra for business shops?